Vaudeville-era magician, know as “The Coney Island Fakir”; he perfected the ‘Misers’ Dream’ trick of catching coins out of thin air and dropping them in a bucket. He was later featured on early TV shows such as ‘Toast of the Town’, ‘The Ed Sullivan Show’, ‘The Steve Allen Show’ and ‘Wonderama’, among many others. In 1939 he took over the Hornmann-Martinka magic shop on 34th Street in New York City; the store that had once been owned by Harry Houdini. 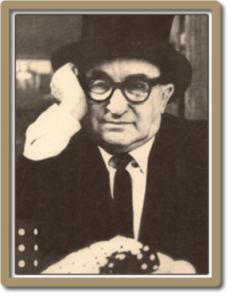 He ran the shop, America’s oldest continuously run magic shop, until his death in 1976. At that point his son, Jackie, took over the shop. Billing himself as “The Great Ballantine”, “The Amazing Ballantine” or “Ballantine: The World’s Greatest Magician”, his vaudeville-style comedy routine involved transparent or incompetent stage magic tricks, which tended to flop and go “hilariously awry” to the wisecracking Ballantine’s mock chagrin. 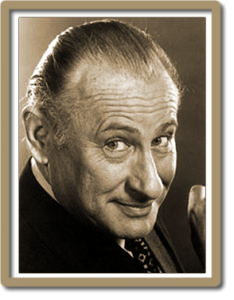 He has been credited with creating comedy magic and has influenced both comics and magicians. Levent is a rarity in the field of comedy magic. 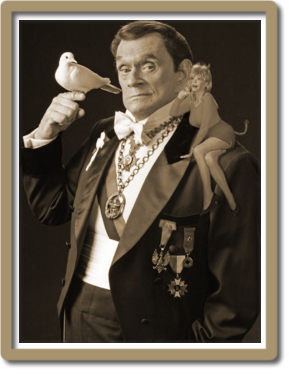 His show is a mixture of masterful sleight of hand combined with hilarious comedy performed at an extraordinarily fast pace. 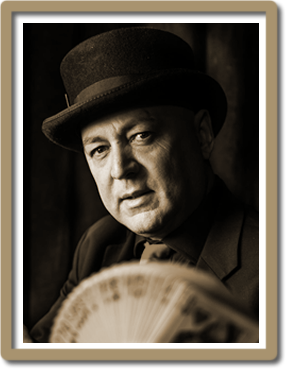 In addition Levent is also a noted vaudeville/magic historian as well as a lecturer. a Polish-American comedian and Las Vegas illusionist who performs under the stage name The Great Tomsoni with his wife, Pamela Hayes. Originally from England, Gazzo started his 30 year career as a street performer on the streets of London and soon after took his show to America. 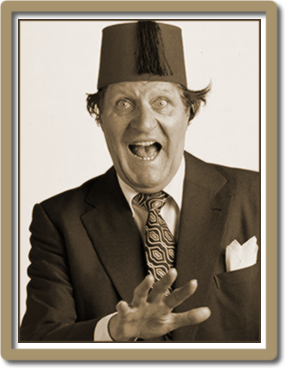 His show consists of some of the best sleight of hand magic combined with some of the best one-liners you will ever hear. 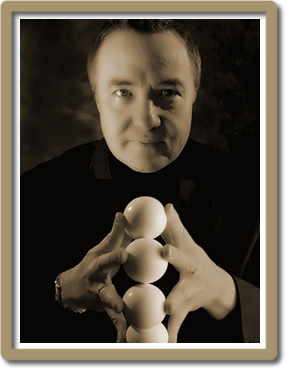 Most famous for his cups and balls routine, Gazzo has turned a classic effect into a stunning piece of entertainment that combines sleight of hand skills with laugh out loud comedy.